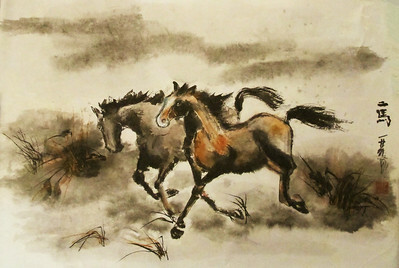 Running - Two Horses, Chinese ink and watercolor on 'Ma" paper, drymounted. 18 x 27 inches. 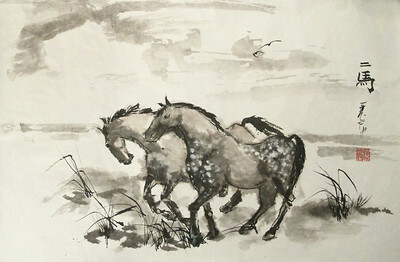 As of Sept, 2018 Making its way to exhibit in Meihekou, Jilin, China. 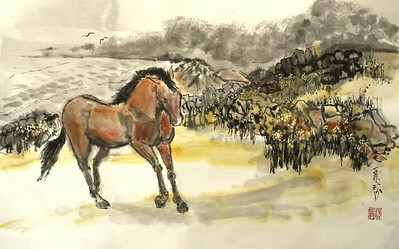 Two Prancing Horses, Chinese ink and watercolor on 'ma' paper, drymounted. 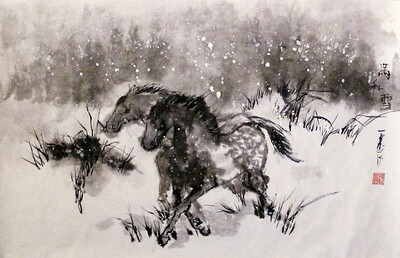 18 x 24 inches.